Written on: Monday, August 07, 2017. Written on: Friday, June 30, 2017. Written on: Saturday, April 08, 2017. Written on: Tuesday, April 04, 2017. Written on: Tuesday, January 03, 2017. Written on: Wednesday, December 21, 2016. Written on: Wednesday, December 14, 2016. Written on: Tuesday, December 13, 2016. Written on: Thursday, November 24, 2016. Written on: Sunday, November 06, 2016. Written on: Saturday, October 15, 2016. Written on: Friday, September 30, 2016. Written on: Saturday, September 17, 2016. Written on: Wednesday, September 07, 2016. Written on: Sunday, September 04, 2016. Written on: Saturday, September 03, 2016. Written on: Tuesday, August 23, 2016. Written on: Tuesday, July 26, 2016. Written on: Wednesday, July 06, 2016. Written on: Friday, April 29, 2016. Written on: Sunday, April 24, 2016. How Can I Make My Bowling Shoes Slide Less? Written on: Thursday, March 31, 2016. Written on: Friday, January 29, 2016. Written on: Sunday, November 15, 2015. Written on: Thursday, September 17, 2015. Does My Bowling Posture Affect My Swing? Written on: Friday, August 28, 2015. Written on: Thursday, August 13, 2015. How Can I Raise My Average As A Senior Bowler? Written on: Wednesday, August 12, 2015. Written on: Tuesday, August 11, 2015. Written on: Tuesday, August 04, 2015. Written on: Sunday, July 26, 2015. Which Is The Best Bowling Ball For Me? Written on: Sunday, July 12, 2015. How Can I Calm My Nerves Before Bowling In A Tournament? Written on: Thursday, June 25, 2015. How Can My Brain Help My Bowling Game? Written on: Sunday, June 21, 2015. How Can Bowling Well In The Past Help Me Now? How Can I Get My First Bowling 300 Game? Written on: Sunday, June 14, 2015. Written on: Saturday, June 13, 2015. How Do I Figure Out What To Work On When I Practice Bowling? Written on: Friday, June 12, 2015. How Can I Stabilize My Bowling Ball Reaction? Written on: Sunday, June 07, 2015. How Can I Make A Good Shot When Bowling Under Pressure? Written on: Friday, June 05, 2015. How Can I Stop Bowling Scared? How Can I Improve My Attitude On The Bowling Lanes? Written on: Monday, June 01, 2015. What Is Bowling Oil Breakdown? Written on: Friday, May 29, 2015. What Are Good Tips When I Bowl Under League Pressure? Written on: Thursday, May 28, 2015. What Should I Know About Bowling Ball Speed? Written on: Wednesday, May 27, 2015. Should I Check Lane Conditions Before A Bowling Tournament? How Can I Stay Down With My Bowling Shot? What Is One Simple Tip For Picking Up The Ten Pin? How Can I Straighten Out My Ball When Shooting The Ten Pin? Written on: Saturday, May 09, 2015. How Can I Practice My Bowling Accuracy? Written on: Friday, May 08, 2015. What Are Custom Bowling Balls? Written on: Thursday, May 07, 2015. What Tips Can Help Me Become A Better Spare Shooter? How Do I Overcome The Pressure Of Bowling For Money? Written on: Wednesday, May 06, 2015. How Can I Improve My Bowling? Written on: Tuesday, May 05, 2015. How Can I Get Good Bowling Form? Written on: Tuesday, April 21, 2015. What Are The Boiled Down Factors Affecting Bowling Ball Motion? Written on: Monday, April 13, 2015. Written on: Sunday, April 12, 2015. Written on: Sunday, March 29, 2015. How Do I Improve My Bowling Game? Written on: Wednesday, March 25, 2015. How Do I Read The Bowling Lanes? Written on: Tuesday, March 24, 2015. How Can I Learn My Bowling Ball Rev Rate? Written on: Monday, March 23, 2015. 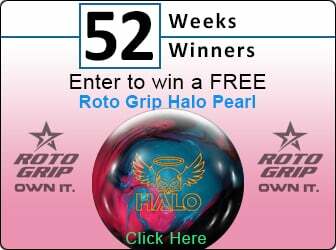 How Should I Prepare My Bowling Ball Surfaces For My Next Tournament? How Can I Get The Most Out Of My Bowling Practice? Written on: Saturday, March 21, 2015. How Do I Hold My Temper Following Bad Bowling Shots? Written on: Thursday, March 19, 2015. How Do I Stop Peeking At the Bowling Pins? Written on: Friday, March 06, 2015. How Do I Know If I Need A Need A Bowling Lesson? How Can I Stop Aiming So Long On The Bowling Approach? Written on: Wednesday, February 18, 2015. How Do I Easily Improve My Balance During My Bowling Approach? Written on: Wednesday, February 11, 2015. How Do I Change My Bowling Ball Reaction? Written on: Monday, February 09, 2015. Should I worry About My Bowling Ball Rev Rate? Written on: Tuesday, January 20, 2015. How Do I Control My Temper When Bowling? Written on: Saturday, January 17, 2015. How Do I Learn Bowling Etiquette For My League? Written on: Friday, January 16, 2015. How Do I Keep My Balance At The Foul Line? Written on: Wednesday, January 14, 2015. How Should My Bowling Ball Be Drilled? Written on: Thursday, January 08, 2015. Written on: Monday, December 22, 2014. Written on: Saturday, November 08, 2014. Written on: Thursday, August 28, 2014. Written on: Wednesday, June 04, 2014. Written on: Tuesday, June 03, 2014. What Is The Bowling Ball Axis Of Rotation? Written on: Friday, April 25, 2014. Written on: Wednesday, January 25, 2012. Written on: Tuesday, January 24, 2012. Written on: Monday, January 23, 2012. Written on: Thursday, January 19, 2012. Written on: Friday, January 13, 2012. Written on: Tuesday, January 10, 2012. Written on: Wednesday, January 04, 2012. Written on: Monday, January 02, 2012. Written on: Friday, December 16, 2011. Written on: Monday, December 12, 2011. Written on: Wednesday, December 07, 2011. Written on: Wednesday, September 21, 2011. Written on: Monday, July 11, 2011. Written on: Monday, May 23, 2011. Written on: Tuesday, March 29, 2011. Written on: Friday, March 25, 2011. Written on: Friday, February 18, 2011. Written on: Thursday, October 14, 2010. Written on: Sunday, November 08, 2009. Written on: Thursday, November 13, 2008. Written on: Friday, September 12, 2008. Written on: Friday, August 29, 2008. Written on: Thursday, August 14, 2008. Written on: Tuesday, December 25, 2007. Written on: Sunday, May 27, 2007. Written on: Saturday, May 26, 2007. Written on: Thursday, May 24, 2007. Written on: Saturday, May 05, 2007. Written on: Sunday, April 29, 2007. Written on: Thursday, January 18, 2007. Written on: Wednesday, December 22, 2004. How Do I Keep Balance When Releasing My Bowling Ball? Written on: Saturday, December 21, 2002.